The schedule changes were presented at an event for advertisers in New York City, part of the annual "upfront" ad sales season in the television business. CNN and CNNMoney are owned by Time Warner, and I anchor a Sunday morning media program for the network. By scheduling original series and documentaries at 9 p.m., CNN hopes to draw a bigger audience than it traditionally has with straight news coverage. CNN executives point to the ratings success of "Anthony Bourdain Parts Unknown," which premiered this time last year. 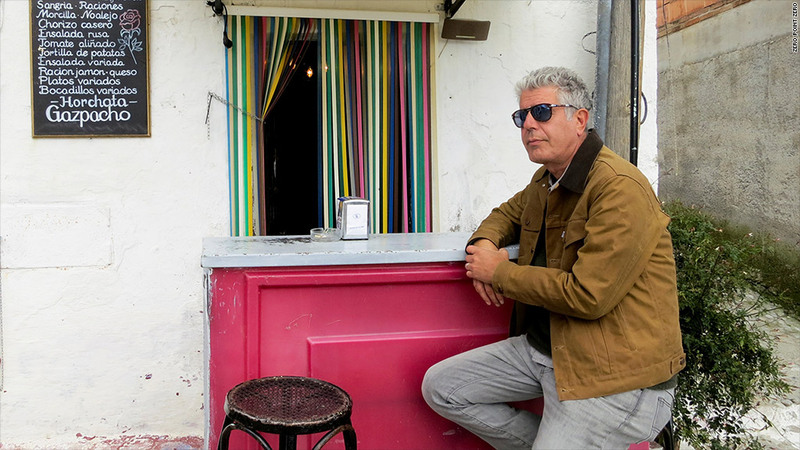 By scheduling a new hour of news at 10 p.m., the channel hopes viewers who come in the door for Bourdain or Rowe will stay for live programming. CNN has struggled to attract a big audience during relatively quiet news periods. When there isn't a giant story to cover, the channel may achieve more consistent ratings with pre-taped series and films. On the other hand, CNN has to be careful not to alienate viewers who expect traditional live news from CNN. "If news warrants, we will always give priority to our live breaking news coverage," Zucker emphasized, as he has in past public statements. Zucker said at Thursday's presentation that four of the franchises that have premiered in the past twelve months are "our highest-rated programs." They are Bourdain's, "Morgan Spurlock Inside Man," "Chicagoland," and "Death Row Stories." CNN said Bourdain's program has been renewed through 2016. Spurlock's program has been renewed through 2015. Zucker announced several new series that will also be shown at 9 p.m.: an untitled series about sub-cultures, hosted by Lisa Ling, "The Jesus Code," and "The Hunt," with John Walsh of "America's Most Wanted" fame. The highest-profile new series seems to be Rowe's "Somebody's Gotta Do It." Rowe, best known for Discovery channel series like "Dirty Jobs," had been hotly pursued by a number of producers and channels. "I talked to a lot of people -- and by a lot of people, I mean, just about everybody," he said at Thursday's presentation. Zucker quipped that "none of this is about prison lockups," a shot at rival MSNBC, which prominently features a series called "Lockup" on the weekends.